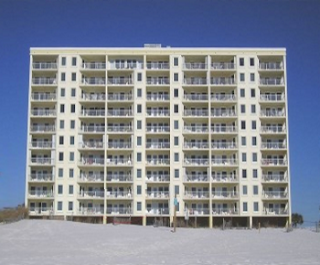 Gulf-front Boardwalk condo for sale in Gulf Shores Alabama - awesome beachfront residence with exceptional views from the balcony. Each room is equipped with ceiling fans and flat-screen HDTV's. This resort home has a great location, convenient to restaurants, shops, nightlife, etc. This property is an outstanding rental unit and the perfect beach getaway with family and friends. Only one flight of stairs to the beach or take one of two elevators. Large deck with pool and covered area to enjoy the outdoor beach life.